My husband took a business trip to Seattle recently. 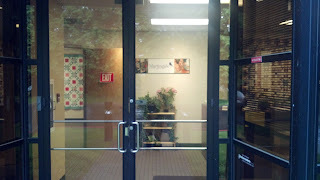 While he was there they visited a client in Bothell near Seattle. 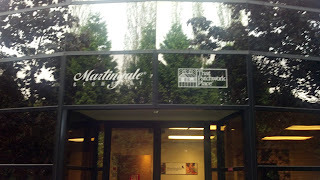 That just happens to be the home of martingale. Unfortunately since his meeting ran late. when he arrived at Martingale they were already closed. He took these pictures and text them to me. the Martingale staff and take a couple of pictures for me. It was very very sweet of him. just to see where all the magic is made. Years ago, when my DH was an IBM consultant, he stayed in a hotel near Queen Anne in Seattle. He ran past a quilt shop every morning, and on his last day in town, stopped in and bought me a great FQ stack of batiks. See, they are worth keeping! What a sweetheart! I hope you both get a chance to visit Martingale (and Seattle) one day soon. These quilts are looking superb and mind blowing thanks for the sharing. Come visit me on a Wednesday and I'll take you there! I live literally down the street from them. Well! What are you going to do? I think you are thinking about to buy?